Following along on doing one project a week, today it is a 'frame' turn. Good find at one of the two February garage sales - a bundle of genuine old burlap. Score. Washed it twice, air dried outside for a few days. Still has that genuine burlap smell but not so 'loud'. 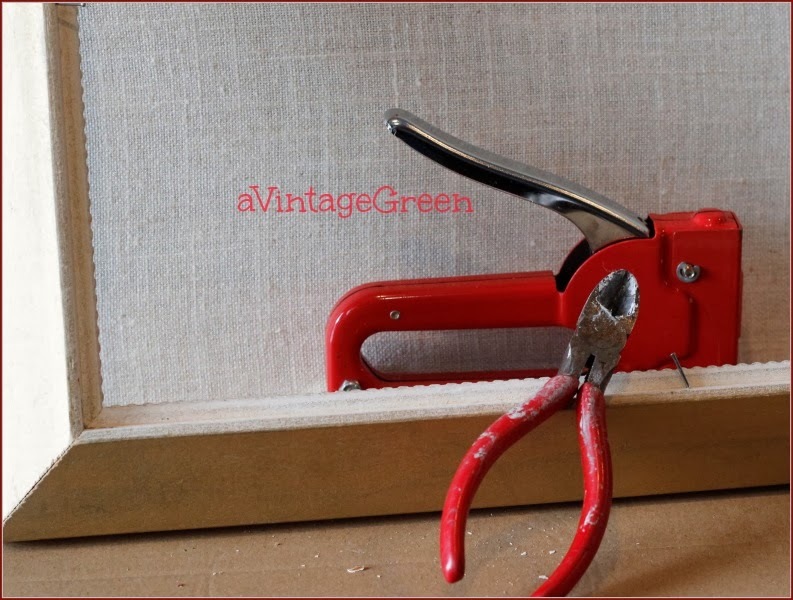 If you need a straight cutting line on burlap (or any fabric) clip (with scissors) an edge and 'pull' a string of the fabric (in this case burlap, I pulled 2 strings out to make a clear line). Picked up a mid sized frame at the thrift store. Bought a roll of chicken wire. Used wire cutters to snip a section of the wire (larger than the inner frame). When cutting out a piece of burlap I laid the frame on the burlap and cut a piece about 1 inch bigger than the frame. Tools used: scissors, needle nose and wire cutting pliers, clamps, staple gun and 1/2" staples. Could have used a hammer to 'set' the staples tighter. In addition: a lot of patience, 3 vintage clips and 3 vintage pieces of ephemera. After a few tries at stapling wire to to frame I clamped the frame to a drawer. That helped. The chicken wire took the longest to figure out. If you try this remember to staple into the thickest part of the inner frame so the staple points don't come out through the front. 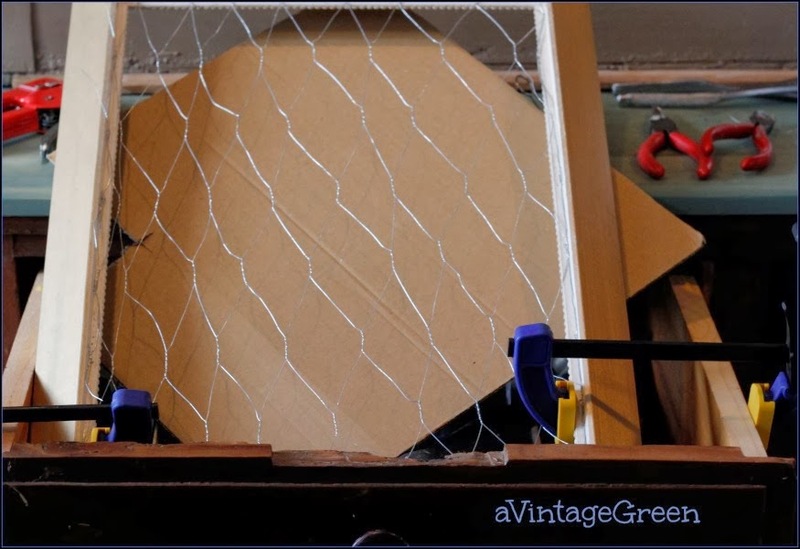 If I make another burlap/chicken wire frame again I may use the smaller size of chicken wire. I liked the look 'before the burlap' but I think it will be more versatile with the backing. I stapled the burlap onto the back of the frame, turning under the edge 1/2 inch. I can see this with notes or pretty things clipped for show. Versatile. Played around a bit, added some vintage costume jewellery and a delightful pink hanky. 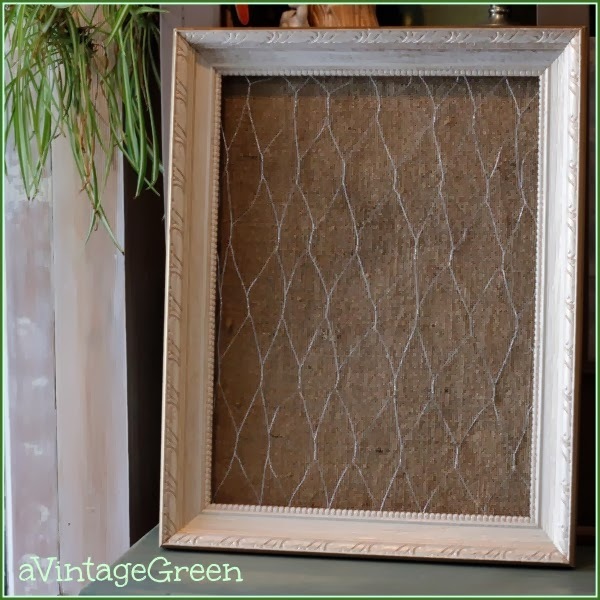 Inspiration: Found a chicken wire and burlap frame tutorial by Doreen at Altered Artworks. I liked the way she showed each step as well as her added embellishments. This is number 7 in my goal to do one project a week, third project for February. Next post will be February 24th at 7:00 a.m.
Joy - cute, cute, cute! I love giving myself challenges to keep me on track for the month. I am mostly there on my February goal. What a great idea! 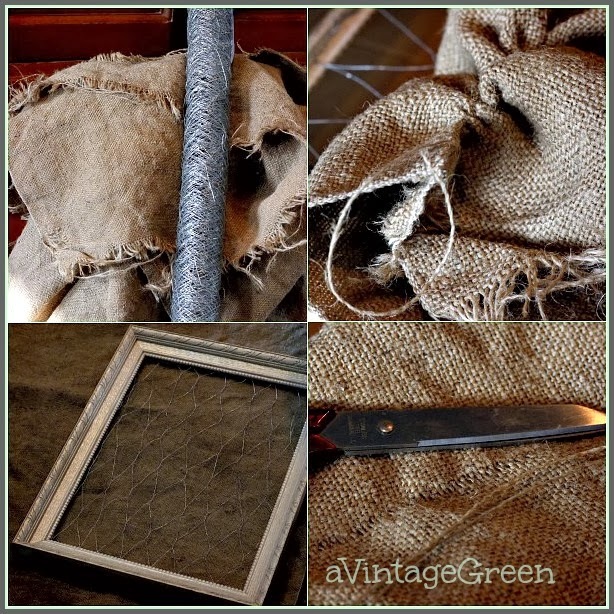 I have some old windows and coffee bean burlap sacs (not so bad for the smell issue..slight scent of coffee, that's it) that might be perfect for my own version of this project. Love it! Now, I'll have to try that! 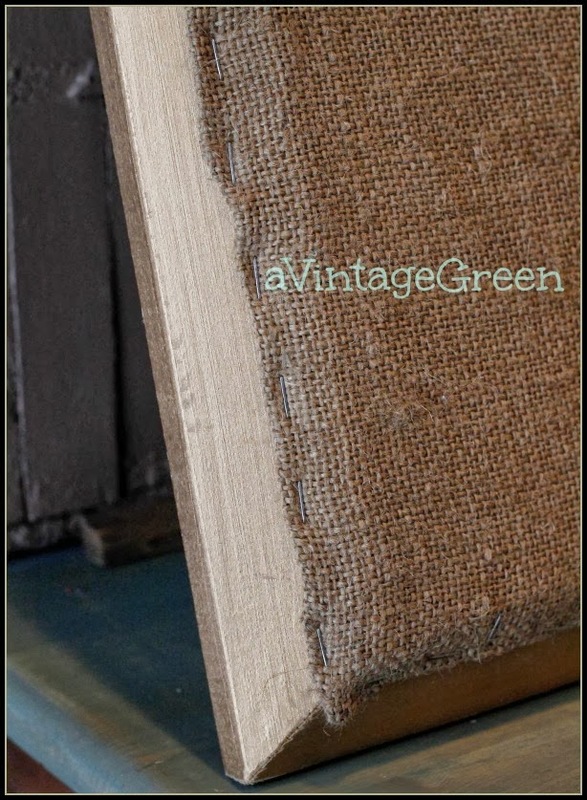 oh i love the washed look of the burlap! Your up on my blog today!....well your blog about me is linked to you! I love it that you used BOTH the chicken wire AND the burlap...it's a great look. :) Thanks for sharing this at Revisionary Life Thrifty Life Thursday! This is so great and yes, very Versatile! I am glad you showed the stapling in the back of how you attached the burlap. You are on fire for projects! Cute! And I love your idea to do one project a week - what a great way to stay motivated with your goals! What a charming project! I love the contrast between the materials: the chicken wire and the burlap, hard and rough, against the softness of the hanky and the daintiness of the costume jewellery. Very pretty! 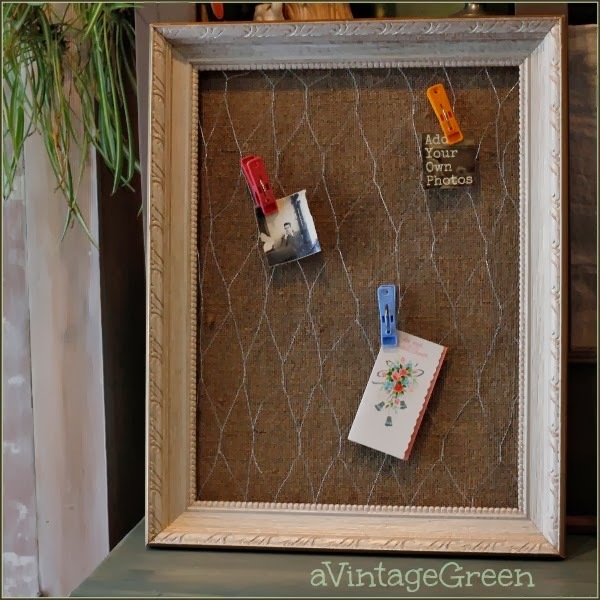 The frame has country charm with the materials used and it cold serve so many purposes. It looks pretty with the hanky and jewelry you've added. 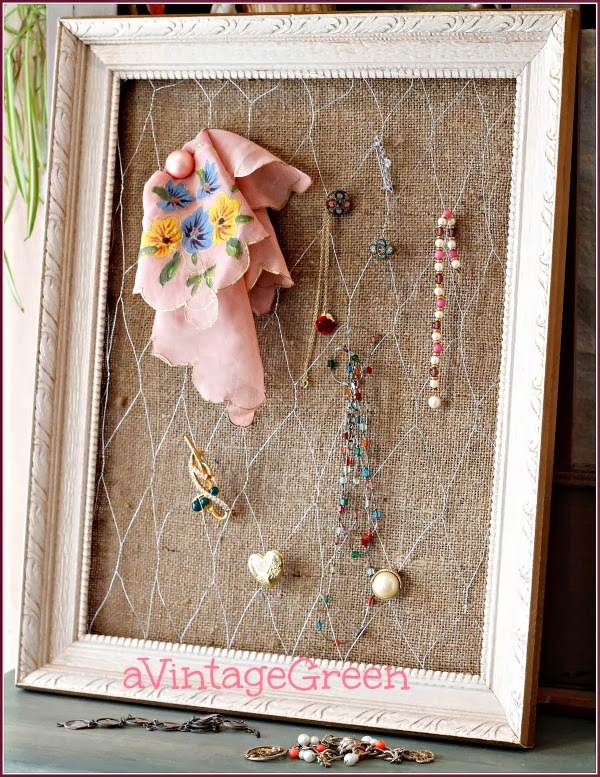 Love how easy it is to hang jewelry on with the chicken wire. Very charming! There are a whole herd of frames here in need of something. This something might work for a few of them. Thanks for the inspiration! Great tutorial mosaic! Love the frame! This is super cute! We used chicken wire for a piece of furniture and it turned out great. I'd love it if you would share this over on our link party today. Love the idea of adding the burlap to the back!! Great tutorial! Thanks for sharing on DIY Sunday Showcase! 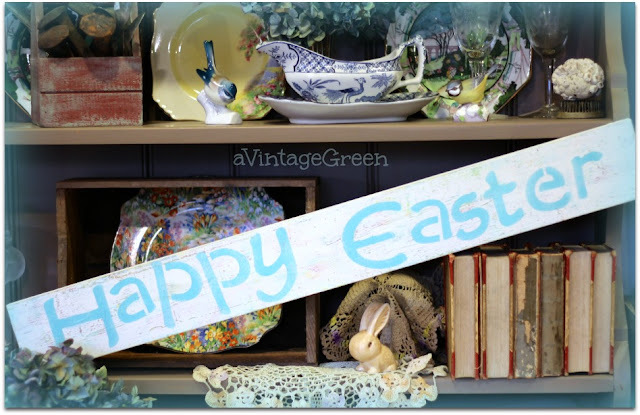 In reviewing my Live Feed, I saw someone visited my blog via A Vintage Green, so I thought I'd check out the link. 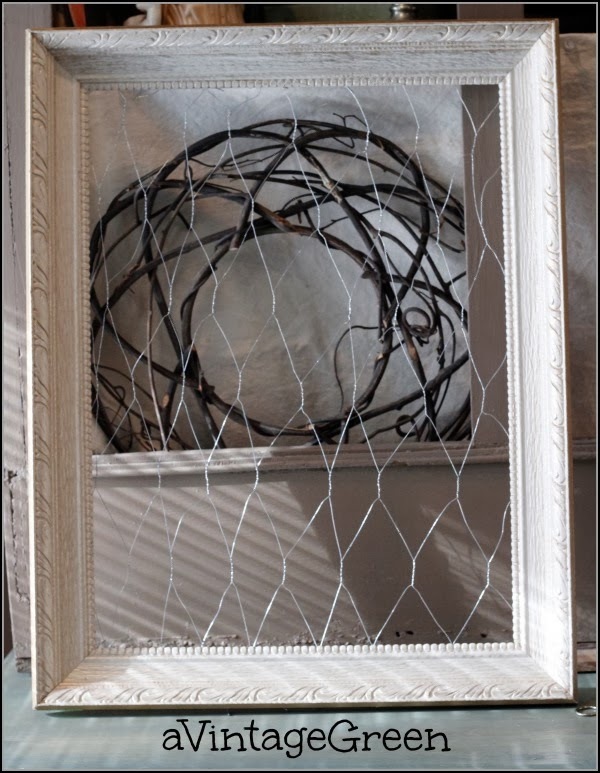 I was pleasantly surprised and glad that you gave me a shout-out for my chicken wire and burlap frame. I'm so glad you found inspiration from my project. And I agree, cutting and stapling the chicken wire is tricky! However, this is one of my favorite projects. Now that I'm here, OK if I stay awhile and check out your other projects? I like your goal of one project each week. This will happen only in my dreams! Great look with the burlap and chicken wire. Interesting display piece. I love anything done with chicken wire. Good job Joy. This is so creative! I love it that you can use it for different things like photos or jewelry! Love this idea!! I recently bought some burlap feed bags and was thinking of what I could do with them and you have now given me some inspiration ! !